@otwcoverage Boats are coming in and filling out the day close by. Check-in is at 2:45. See you at weigh-in at the Cloverdale Walmart in Florence. @otwcoverage "Two good ones and three itty bitty ones" for Bryan Thrift. He just filled out his limit. @otwcoverage Peek just caught another small keeper. He's got three for about 5 pounds. His co, Carl Gillespie, hasn't got any in the box yet. @otwcoverage Richard Peek has only two keepers. He's scrambling with a drop-shot in the lower end of the lake. @otwcoverage It's been a long dry spell for Casey Gallagher. He hasn't caught a keeper since about 10 o'clock. He still has a nice limit, though. @otwcoverage Baumgardner still stuck on his one keeper too. It's a 3-pounder, but he needs four more like it. @otwcoverage Jay Yelas is not having dream day yet, he is stuck on one. @otwcoverage Co-angler Justin Sward just landed keeper number three, a solid 2.5-pounder. @otwcoverage Nothing doing for Haynes, he's chunkn' & windn'. @otwcoverage Bryan Thrift has only two little ones. He's currently throwing an umbrella rig around docks. @otwcoverage Chris Baumgardner is off to a slow start, he has one on board. Co-angler James Callaghan has a limit. @otwcoverage Todd Auten has culled twice, "gaining ounces, not pounds," he says. He has about 7 pounds. @otwcoverage Co-angler Brett Rachel just boxed number three, all small but he is halfway home. 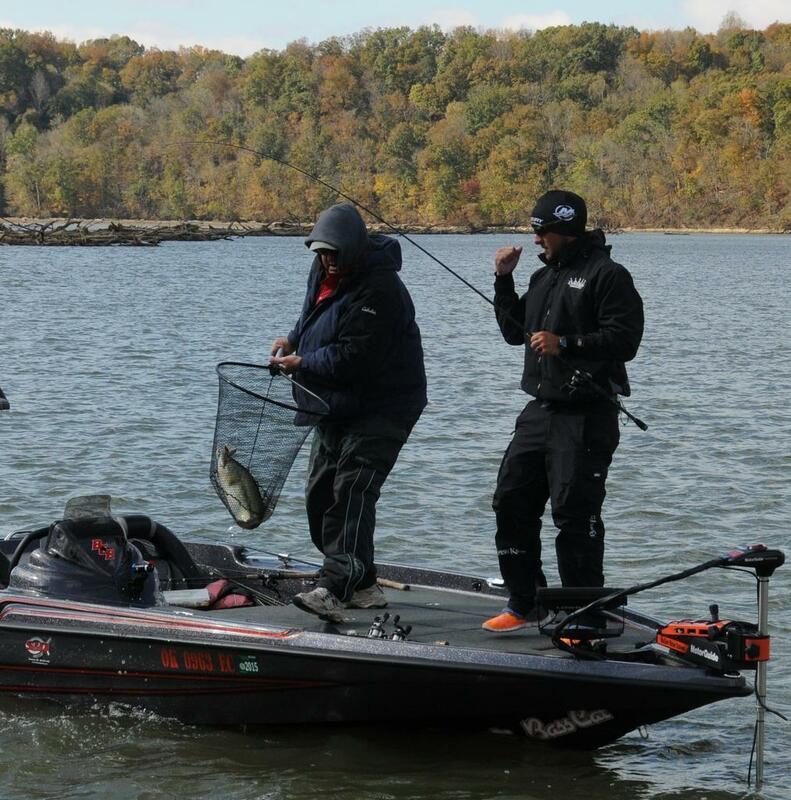 @otwcoverage Chris McCall has five for about 9 pounds. He's fishing barges at the mouth of a cove. @otwcoverage Yelas has had two keeper bites so far, one he missed and one is in the box. @otwcoverage Its miserable cold this morning but Zack Birge is bringing the heat this morning with an early limit for 14 pounds. @otwcoverage Peek just put number one in the box, it was a little one but he'll take it for now. @otwcoverage George Kapiton made the long run to Flint Creek, but no fish for him...yet. @otwcoverage Jay Yelas still without a fish. It's a nippy morning and both bass and man are trying to stay warm. 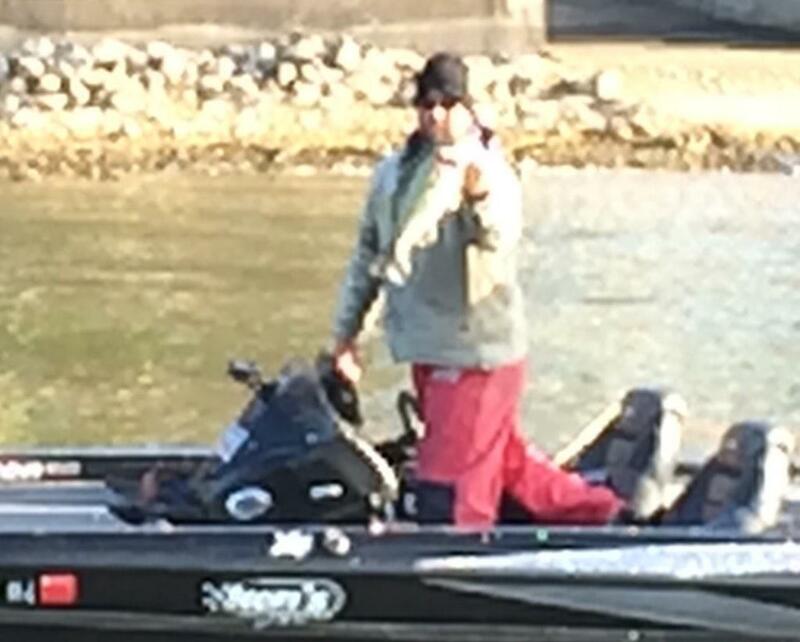 @otwcoverage Haynes, still without fish, has headed back out to the main lake. 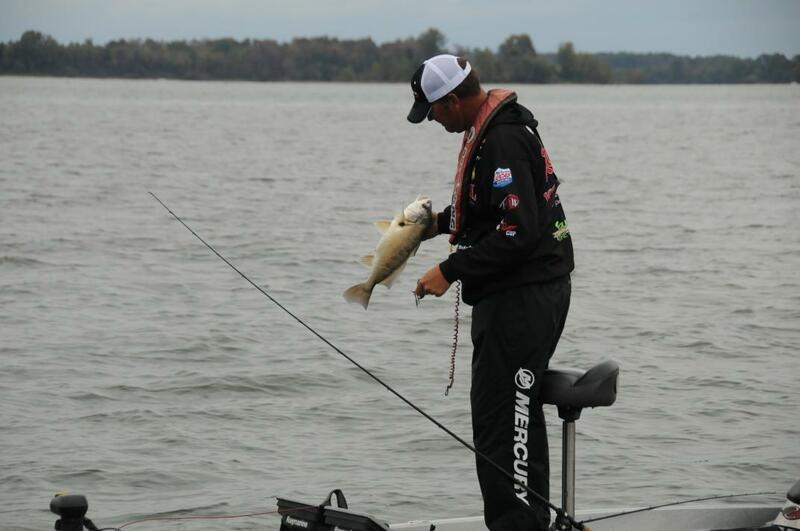 @otwcoverage Casey Gallagher has two toads for about 7 pounds. He's fishing out on the main lake, very methodically. @otwcoverage The Elk River is going to be crowded for a while. At least half the field is up there. @otwcoverage Randy Haynes has started the day throwing an umbrella rig on main-lake bluffs. Presumably looking for an early kicker smallmouth. @otwcoverage The weather is really nasty now, but the weigh-in is about to begin and most of the boats are close by. @otwcoverage Tom Redington has a limit for about 11 pounds. He's had a much better day two. @otwcoverage Chad Martin of California has a limit, but he needs a good kicker. He's got about 7 pounds. @otwcoverage Benjamin Byrd fished Guntersville dam Thursday and is fishing Second Creek Friday; from one extreme to the other. He has a small limit. @otwcoverage Tough day for David Hendrick; only one in the box. @otwcoverage The wind and waves have really picked up. It's going to be a rough ride for guys coming back from up the lake. 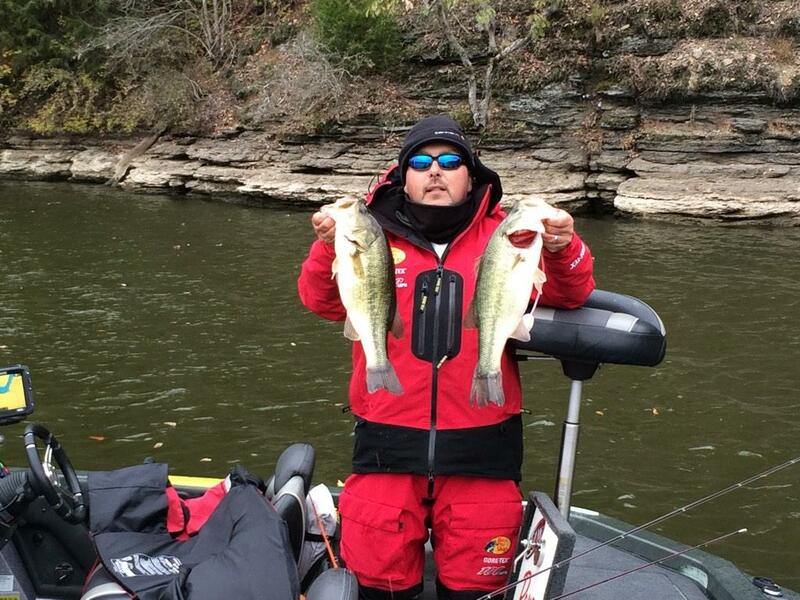 @otwcoverage After making a run, Joe Uribe Jr., is back at his spot from yesterday - he has another small limit. @otwcoverage Barry Wilson has one. He just made a move to a backup spot and seems to feel good about its ability to produce. @otwcoverage Allen Duke is stoked, he has 4 with 2 good ones and a lot of time left to fish. His co-angler Randy Bruno with 1. 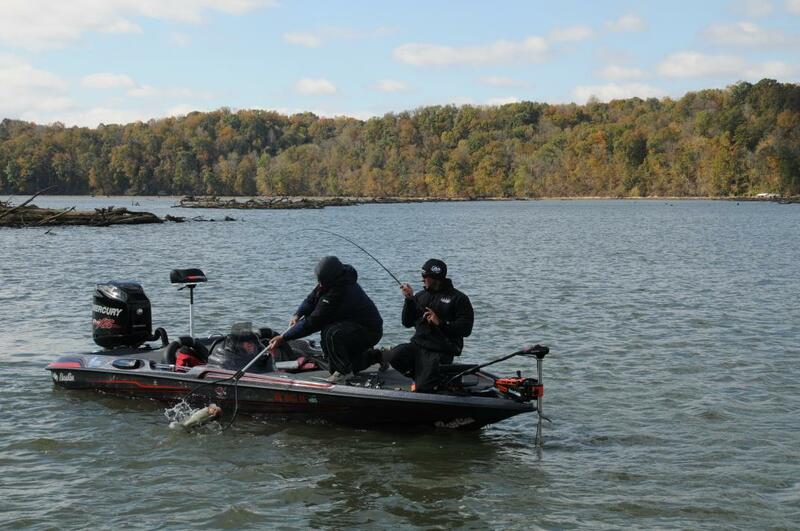 @otwcoverage Brian Carnahan has a 5-pounder, but nothing to go with it. @otwcoverage Tai Au has a small limit and just lost one. @otwcoverage Jason Milligan is bummed. He's stuck on two. He figures if he could get any kind of double-digit stringer he could fish Saturday. 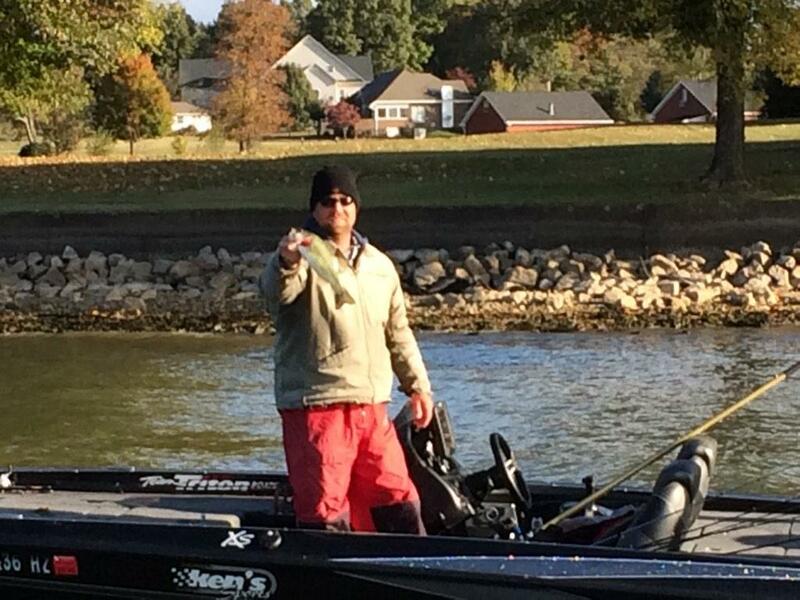 @otwcoverage Shane Long stayed in the lower lake instead of running up to Guntersville dam. He's just got two in the boat. @otwcoverage Clent Davis made a run to the dam and we caught up with him making his way back up; he has 4. As promised here comes the wind. 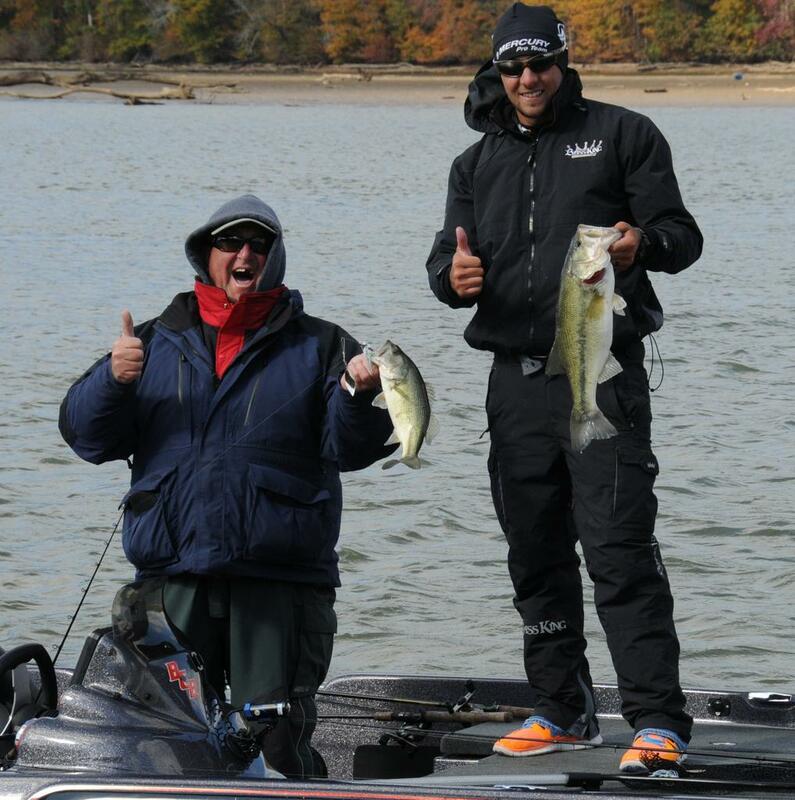 @otwcoverage Robbie Dodson has two, but Dennis Burdette, his co-angler, has four. Off Limits: Standard FLW off limits plus 50 yards to the left, right and straight out from the fish release area. Locking is NOT permitted. 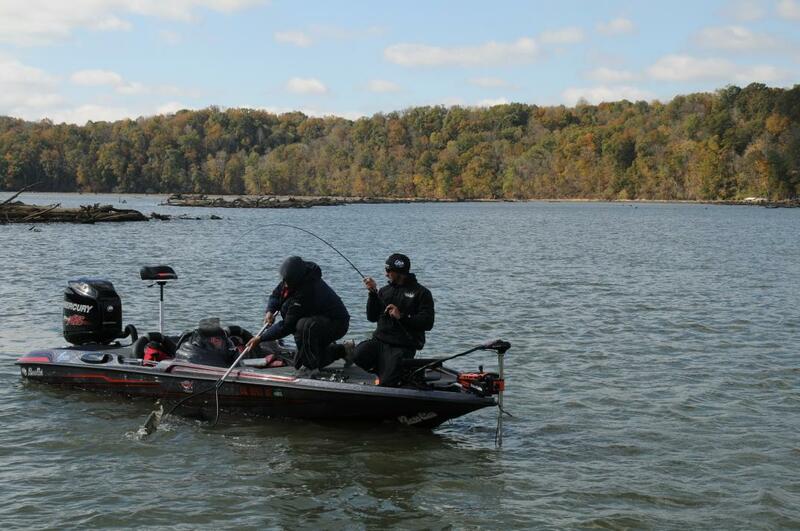 Tournament waters are off limits Monday, October 20, 2014 thru Friday, October 24, 2014, plus October 29, 2014. Official practice begins Saturday, October 25, 2014 at safe light thru Tuesday, October 28, 2014.